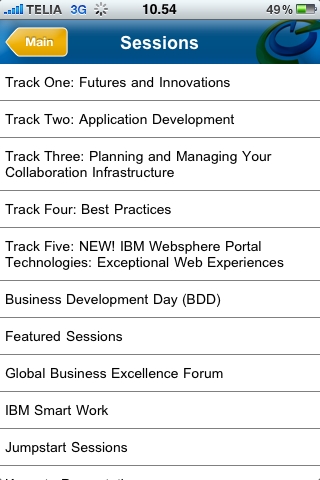 Lotusphere 2010: Check out this killer Lotusphere planning web app!! Since we in IntraVision are not having a booth at Lotusphere this year we thought we would spend our time and resources a little bit different and what’s better than helping YOU get the most from YOUR Lotusphere experience. 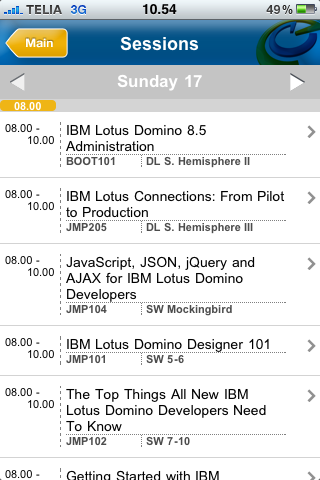 So one of the things we’re doing this year is an iPhone web application to help you plan your Lotusphere schedule. 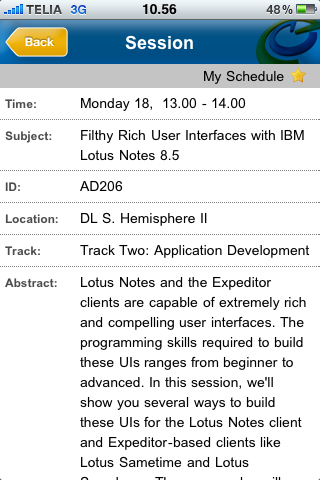 You can find the application here: ls2010.ontimesuite.com. 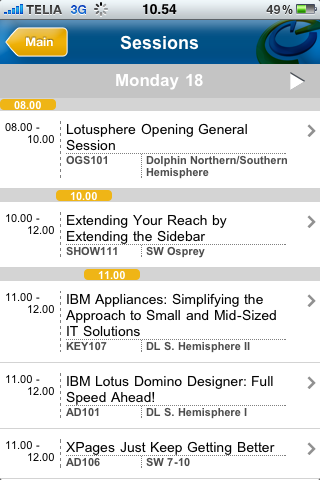 And yes I know the Turtle partnership has an iPhone application as well but we really wanted a different approach to planning the Lotusphere attendance so one of our senior developers created this solution. Also note that just because I say it’s an iPhone web application doesn’t mean it doesn’t work on other phones. It works perfectly on an Android based HTC phone we also tested it on. A standalone browser will also work just fine. From the main menu you can choose to see the sessions by date, by track or you can search. The search is a very powerful feature as it allows you to easily, and in sorted date order, do a listing of all sessions on a particular topic. 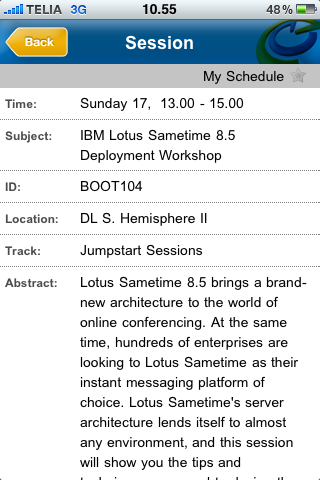 Here I have searched for “sametime” to easily see all sessions having to do with Sametime. Once you have starred the sessions you would like to attend you may use the “My Schedule” to see, again in sorted date order, the sessions you have chosen to see. Thanks for that! That “App” really looks good and the usability is great! I think I can build up my schedule now. Works on the Droid! Thanks for making this available!!! Thanks for the app! Looks good on the iPhone. I just checked our session BP203 and saw that only my name is listed. 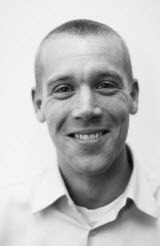 Maybe there’s an issue with the data import, because that session has a second speaker Tammo Riedinger. Can you add the ability to navigate between days from the Tracks menu versus listing the entire track schedule? Thank you so much for making this a web app and not going the iPhone-only route! With the webkit-based browser becoming commonplace today (still waiting on Blackberry to work it into all of their devices), you really can now make one web app that works on iPhones, Android phones, Palm webOS phones, and Blackberries, all at once. The ‘view’ (to say in LN terms) of the the session by date is awesome ! Very handy, exactly what I was looking for. I knew there would be a good sessions app out for the iPhone this year. Well, this is it !